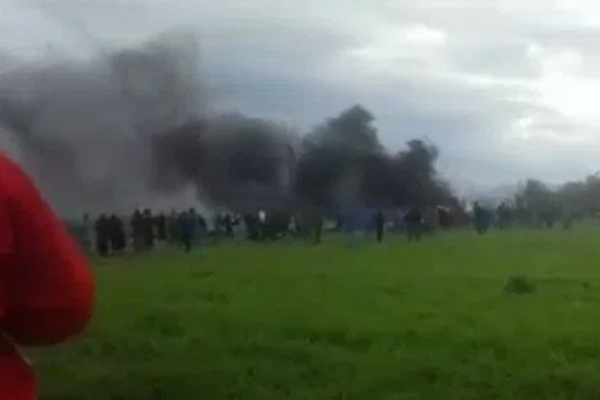 A plane carrying around 200 people has crashed in Algeria with everyone on board feared dead, said media reports. The aircraft was carrying soldiers and equipment when it crashed at Boufarik military airport near capital Algiers. The cause of the crash was unclear, and an investigation has been opened, according to media reports. At least 100 people have reportedly died, and local sources have been quoted as saying the death toll could exceed 200, reported BBC.